Return (approx. ): Any return train to London, running about every 30 minutes until approximately 10pm. 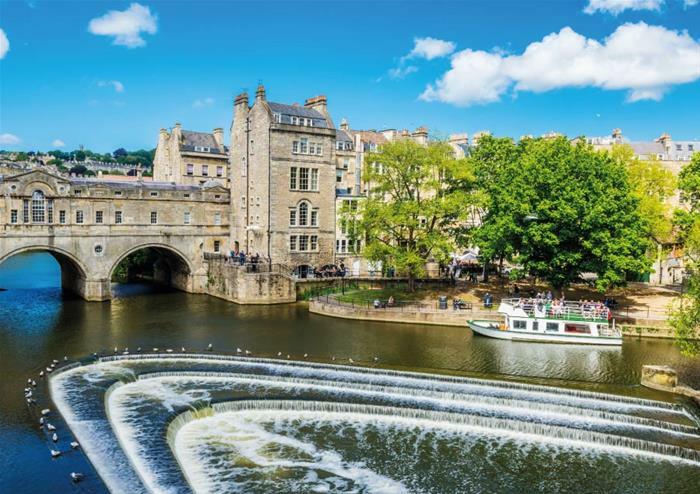 Explore the beautiful city of Bath at leisure with this handy day trip by rail. Begin at Paddington Station at 8.30am, where a Golden Tours representative meets you at the Information Desk (located at Platform 2), with a welcome pack, containing all you need for the day. The train sets off at 9am, so relax in your seat as you speed through the amazing sights of the British countryside. 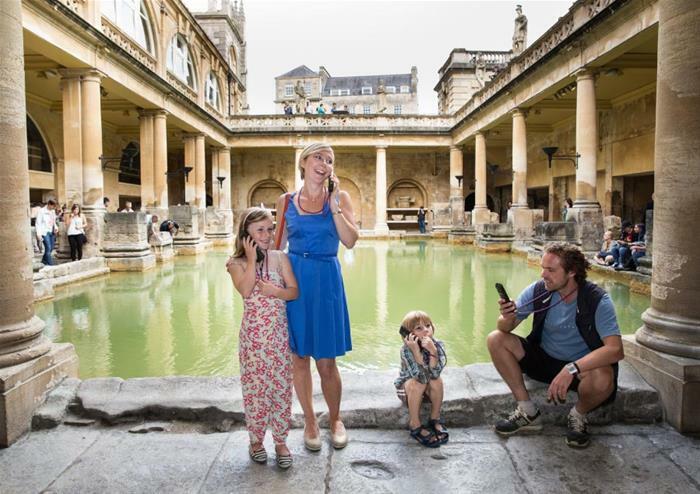 Upon arrival in Bath, the city is yours to explore for the entire day. 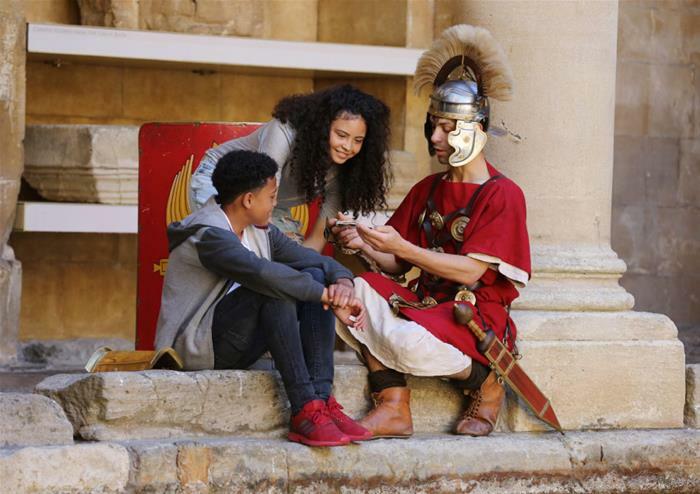 Widely accepted to be one of the finest historical sites in the North of Europe, the Roman Baths are thousands of years old and excellently preserved. 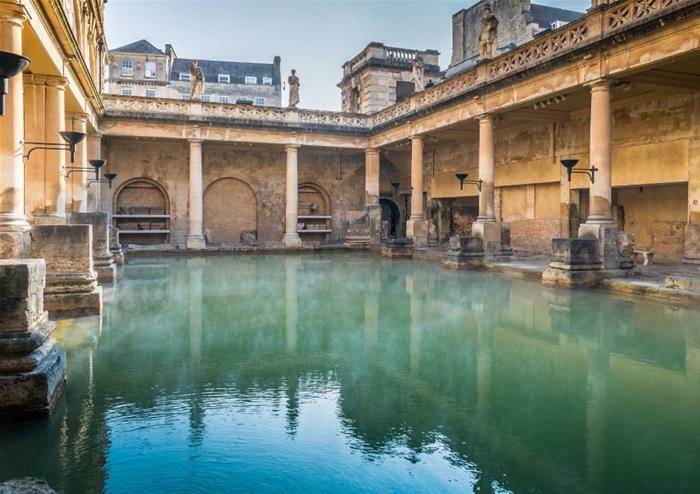 Britain’s most spectacular hot spring, explore the Roman Bath house, the Sacred Spring and the Roman Temple, before tasting the waters in the Grand Pump Room. The rest of the day can be spent however you wish. 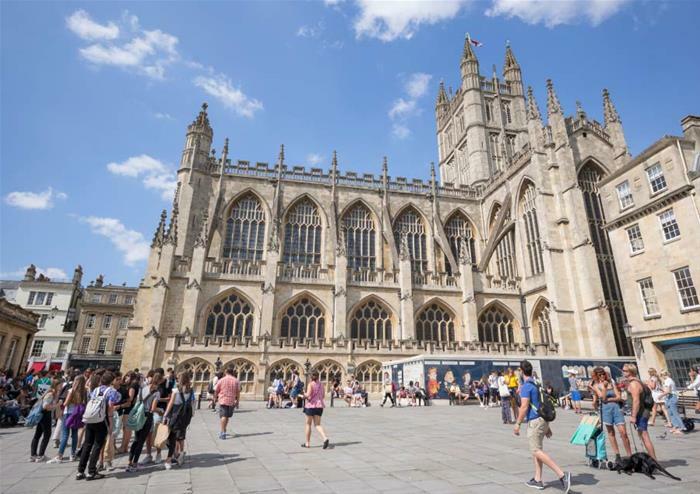 With a complimentary map of the area to help you get your bearings, why not pay a visit to the breathtaking Bath Abbey or walk across the impressive Pulteney Bridge? With such a rich and unique selection of independent cafes, boutiques, bars, gift shops, restaurants and artisan food shops, you’ll be spoilt for choice for places to see and visit! Trains return to London every 30 minutes until approximately 10pm, so simply head back to Bath train station when you’re ready! Once booked this tour is non-refundable.